There are many good hotels close to the Baltimore cruise terminal at South Locust Point. A few well-regarded options are listed below including "stay and cruise" or "park and cruise" package deals; the one you choose depends on what's most important to you. 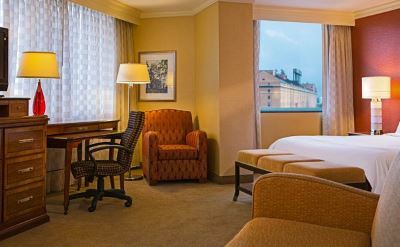 The Renaissance Baltimore Harborplace Hotel has upscale amenities and a distinct style. 4-diamond level service. Steps from all the attractions of Baltimore's Inner Harbor. The Royal Sonesta Harbor Court Hotel combines gracious elegance with modern amenities. Two award-winning restaurants and an impressive fitness center. Across the street from Harborplace on the Inner Harbor. The Baltimore Marriott Inner Harbor at Camden Yards is between the Inner Harbor and the baseball stadium. 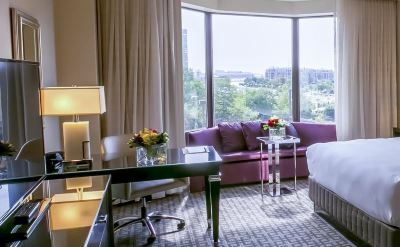 It's a contemporary hotel with nice amenities, including a luxurious new bedding package. "Stay and cruise" or "park and cruise" package deals are popular with many experienced cruise passengers. Spend the night before your cruise at the hotel and leave your car there during your cruise. It's a way to avoid paying the high cost of parking at the cruise terminal. Holiday Inn Express at the Stadiums is fairly close to the baseball and football stadiums, and next to a casino. They offer a "Baltimore Cruise Parking Deal" with up to 8 days of complimentary parking, breakfast, and shuttle service to and from the Baltimore cruise terminal. 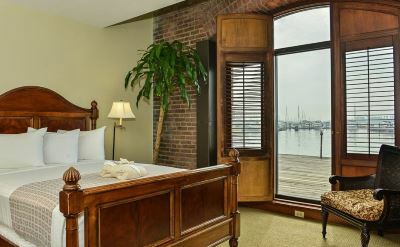 Another park and cruise package is available at the Sleep Inn Baltimore. It includes one night accommodation, breakfast buffet, parking for the duration of your cruise, and shuttle service to and from the port. The stay and cruise package at the Best Western Plus includes the standard one night lodging, hot buffet breakfast, parking for the duration of the cruise, and shuttle transportation to and from the cruise terminal. The hotel is easy to access from I-95. The Residence Inn is located in suburban White Marsh, north of the city and close to I-95. Their park and cruise deal is transportation to and from the Baltimore cruise terminal and up to 10 nights parking. 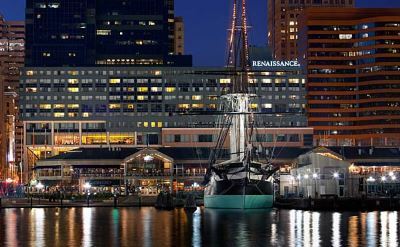 Deals and reviews for more hotels near the Baltimore cruise terminal.